I Love To See The Temple: This Janice Kapp Perry song is the one that enters my mind every time I drive to a temple to do ordinance work or even when I pass by. How Beautiful Thy Temples, Lord: One of the most moving hymns I know, verses 1 and 3 sum up so eloquently thepurpose of the temple. I wish this hymn was better known. My hope is that this CD will play a small part in making it more popular among the saints. Families Can Be Together Forever: Besides the sheer physical beauty of the temples, there is one grand reason that makes them beautiful beyond price or worldly value…the eternal nature and salvation of the family. There Is A Green Hill Far Away: My mother told me that she once asked me as a small boy what my favorite hymn was, and this was my answer. Be Still My Soul: This was an arrangement I did specifically for my daughter who needed hope in a moment of trials. This song is a favorite of many for good reason. The message applies to all. He Is Not Here: Crawford Gates classic Easter hymn, part of the “Choirbook” publication of the church. Master The Tempest Is Raging: “Peace, be still” is something I can imagine Christ saying to each of us in our moments of crisis. The King of Love My Shepherd Is: Harry Rowe Shelley’s classic 1915 version. I Come To The Garden Alone: Traditional Baptist hymn. I included this as a gift of appreciation to the wonderful people of Alabama, where I lived for 9 years. Right now, How Beautiful Thy Temples is number 33 on the iTunes top 100 New Christian Music Charts!!! See that here. I am a new listener to Smith and I am now a new fan! I was having a pretty rough morning when I decided to put this CD in and listen. I am so glad that I did! I had goose bumps from the emotion that I could feel as Smith played. It transported me from a bad morning to a beautiful place of hope. This will definitely be my new Sunday listening music! I noticed right away the talent that Smith has a pianist. The beauty of the arrangements have me hoping he will also release sheet music! Discovering a new artist is always exciting yet discovering one that I love is even better! Please, please, please release sheet music, I beg! The beauty of these arrangements will captivate you! You will feel the emotion of the song portrayed through the piano and you too will feel the Spirit through these songs! Five stars and I am anxious to listen to more from Garth Smith! 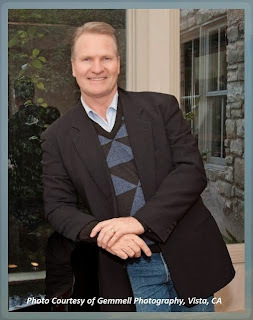 Garth Smith specializes in original arrangements of LDS (and other) hymns on the piano. Garth was born in Brigham City, Utah, and currently resides in Oceanside, CA. Classically trained on the piano, Garth began formal lessons at age 5 and has performed publicly as a piano soloist since age 8. Garth was a member of the Nashville Songwriters Association, ASCAP, California Country Music Association, and won the 1999 CCMA Song-of-the-year with “Last Call”. 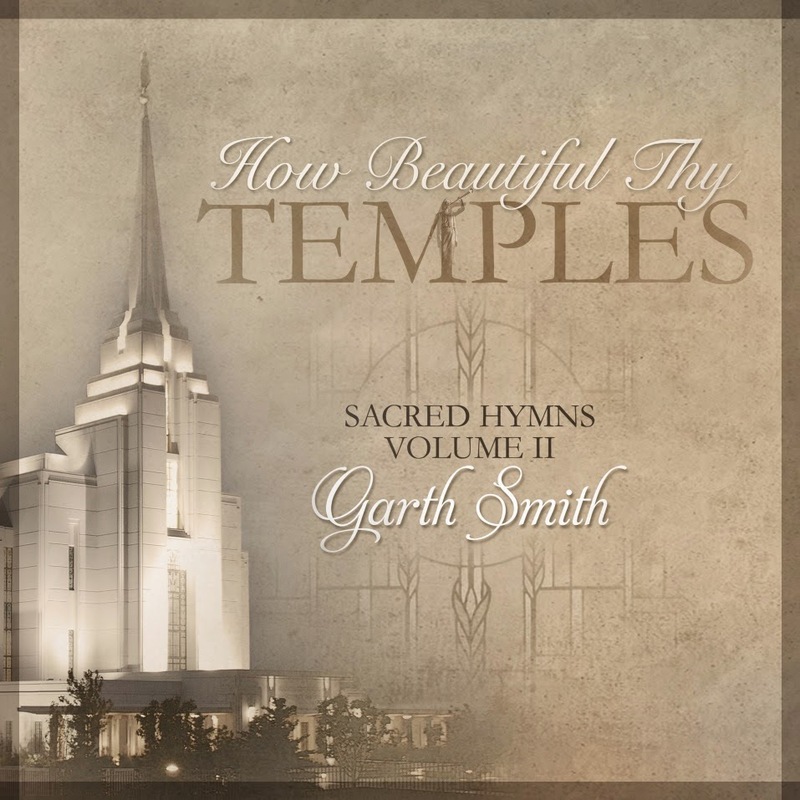 Garth released his first CD “Sacred Hymns” in March 2014 to critical acclaim and positive reviews. Garth was signed shortly thereafter by RLegacy Entertainment in Salt Lake City, Utah. 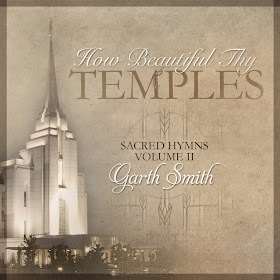 “How Beautiful Thy Temples” is Garth’s second commercial CD release.